Passive Income ideas for Bloggers - CreatingBeautifully.com - start and grow an online business you love! Passive Income ideas for Bloggers - CreatingBeautifully.com - start and grow an online business you love! Whether your started (or are starting) your blog as a hobby or as a way to make money, there always seems to come a time when bloggers ask how they can make passive income with their blogs. 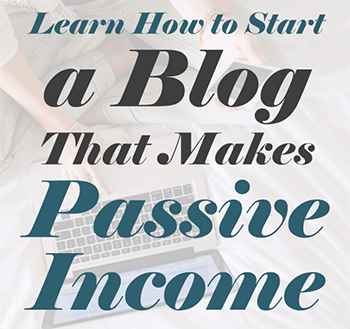 So today I’m going to cover 3 passive income ideas for bloggers. From beginner blogger to more advanced, these three passive income ideas for bloggers are: affiliate marketing, where you earn a percentage of sales by promoting another company’s product or service. Advertising, using Google Adsense or an ad agency that specifically works with bloggers. And finally, product sales, where you create and sell products of your own, but in a passive way. Affiliate marketing is one of the easiest ways to make passive income, especially when you’re first starting out as a blogger. The reason it’s so easy is that you don’t have to create your own product, or be savvy about working with brands on sponsored posts, or get tons of traffic in order for ads to be worth it. In less than one year, Panda from Fin Savvy Panda made $510.80 in one month from affiliate marketing alone. Lotus from Mommy to Max occasionally posts her blogging income reports, and in this one she earned almost $4000 in one month from affiliate marketing. So, as you can see, making money with affiliate marketing on your blog can be done! Even in the very beginning, and the longer you blog, the more it can make. Getting started with affiliate marketing is pretty simple: you’ll want to find brands or products you can easily and honestly promote on your blog. So if you have a mom blog, you’re probably not going to sign up as an affiliate for a golf company. For instance, I use and love ConvertKit for my email marketing software, so it’s a natural fit for me to be an affiliate for them. Some companies do want to see what your blog looks like and review your writing style, so you may need to have several posts up before they will accept you as an affiliate. Others don’t care at all. The Amazon Associates program is really popular for bloggers because, well, they sell just about everything under the sun, so just about any blog niche can find something to recommend from there. And about 100 Million people have Amazon Prime, so it’s a familiar place for people to shop. But speaking of familiar places to shop, giants like Target, Etsy (which I’ll talk about more below), and Ebay have affiliate programs, as do countless others. There are also affiliate networks. These companies with with dozens or even hundreds of companies and help them run their affiliate programs. So you first sign up with the network, and then apply to the specific programs that are a fit for you. Some companies approve all applicants, and others don’t. Be sure to read the rules and guidelines before applying to make sure you’re a good match for each program. ShareASale: My favorite Shareasale affiliates are Tailwind (I’m a huge fan so I promote them a lot! ), CreativeLive, and RedBubble (I like to promote other artists there). Flex Offers: Flex offers works with thousands of companies, so you’re sure to find some to work with. Through Flex Offers, I’m an affiliate for sites like SwagBucks, Mister Art, and Back Stage. It’s especially nice when you can also earn commissions for referring other affiliates to a program. This is typically called two-tier affiliates, and some of my own favorites are Ultimate Bundles (I wrote this post about them recently: The First Affiliate Program Every Blogger Should Sign Up For), RedBubble, and — of course — Tailwind. Plus some of the affiliate networks I mentioned above have two tier programs, as well, like AWIN, Shareasale and Flex Offers. There is some controversy over having ads on blogs (from the bloggers themselves). Some people think it’s a great way to make some extra cash every month, while others think it’s a distraction for their readers, and would rather promote their own products or services over ads from and ad network. I can understand both sides of the argument, but as you can see from this post, I decided to give ads a try. And I have to say, I really like the extra cash it brings in each month! (Without any additional effort on my part, at that!) And it hasn’t seemed to turn my readers off or away, so I’m fine with it. There are a few different types of ways you can get paid with ad networks. The most common being: CPM (which stands for cost per mille – or per thousands of impressions) is a set price based on how many impressions an ad gets. CPC (or Cost Per Click) means you’ll get paid a certain amount each time an ad is clicked. CPA (Cost Per Acquisition) means that you only get paid if the person actually clicks through and completes a transaction of one kind or another (this could be an actual sale, signing up for a free trial, etc.). If you’re just starting out and you want to give ads a try, Google AdSense is one option. They seem to generally accept new bloggers, unless your blog violates any of their policies. But I also really like Media.net, as they use contextual ads to help you make more money. If your audience is primarily women, you might want to check out SheKnows Media. Once you’ve built your traffic up to over 25,000 sessions per month (per Google Analytics), you should apply to Mediavine. They’re the network I use for ads on my site, and I have to say: I’ve been nothing but happy with the entire relationship. I feel like they are on my side, and always looking for ways to help me make more money. If you have more than 100,000 or 750,000 page views per month, you might want to check out AdThrive. They work one on one with sites with larger traffic numbers, but sometimes there is a waitlist so apply as soon as you can. Books. You can write a self-published book that you sell passively on Amazon with Kindle Direct Publishing (KDP) for Kindle books and CreateSpace for your printed books. Courses. You could create a course on your area of expertise and sell it on sites like Thinkific or Teachable. Art. 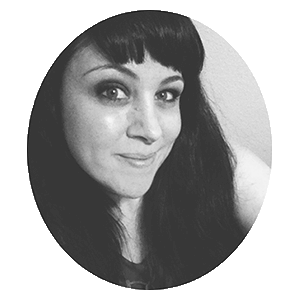 If you’re an artist and you want to learn how to sell prints of your work passively on Etsy and/or on your own website, check out my course, Art Sales on Autopilot. But the long and the short of it is this; you can work with print on demand companies (like Printful) so that when an order comes into your Etsy or Shopify shop (on your website) the order automatically goes to your printer who then fulfills and ships the order. It’s awesome! FBA on Amazon. FBA stands for Fulfilled by Amazon and, while I’m no expert in this area, it does sound exciting! In simple terms: you make (or have manufactured) a product, ship it to Amazon and they ship out each order for you. You can learn more about FBA here. eBooks. You can write and sell ebooks through sites like SendOwl or Selz. So there you have it: 3 Passive Income ideas for Bloggers! I hope this has helped, and even sparked some ideas in you about how you can make passive income with your own blog! You might also want to read: How to start a blog that makes passive income. This was an excellent post about affiliate marketing! I love the idea and there’s so much more for me to learn. So far, I’m learning a lot and doing a lot of testing with affiliate marketing strategies. Hopefully, I can improve with this going forward! Hey Jules! This is a fantastic list. Thank you so much for the shoutout! We’re so happy that you are one of our Mediavine publishers and that you are happy with your switch. We are so proud to play a small part in your success!